My little guys bedroom is almost complete, reveal to come soon, yayy!!! I’m just getting together some artwork and it will all be finished! 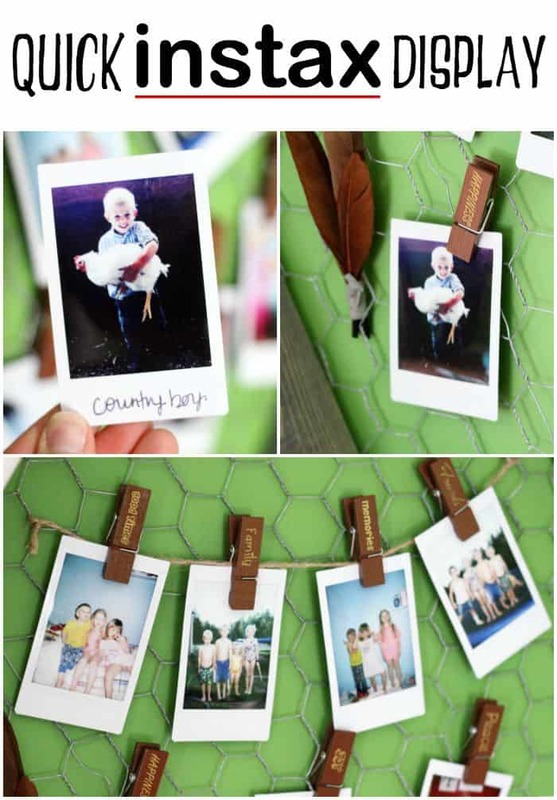 Today I wanted to share a fun and quick Instax Display Idea, that adds the perfect personal touch. 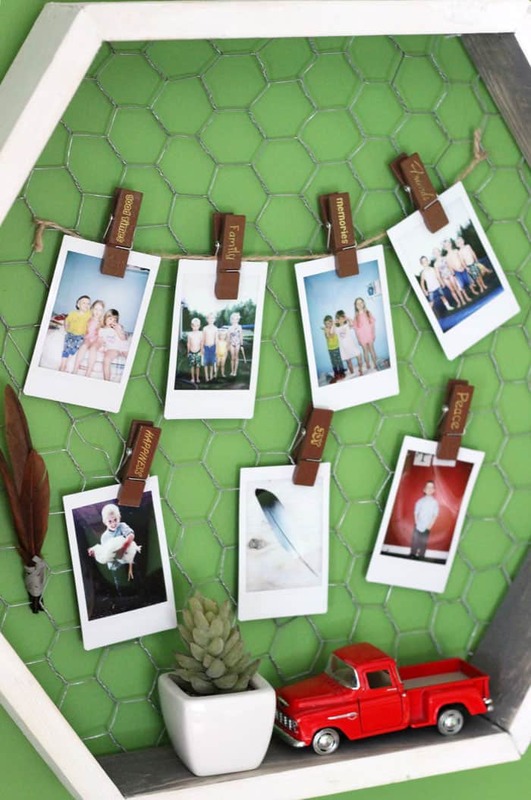 With Instax photo clips (that are also magnetic) it was so quick and easy to string up this little photo gallery. There is lots of room to add more photos too! Easily add a message or a fun hashtag to photos in the white space. Perfect way to record your memories! I’ve strung the little gallery up in some hexagon boxes I built. You can check out a hexagon shelf box tutorial on A Beautiful Mess, or if you don’t have any DIY skillz you can buy some really awesome ones from Etsy maker Grains of Grace. 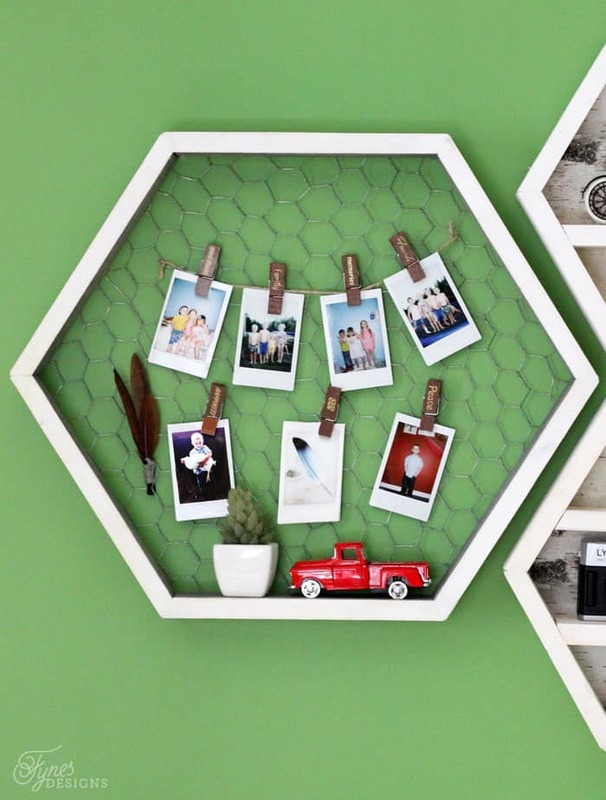 Isn’t it such an easy idea, anyone can tackle this DIY photo gallery. 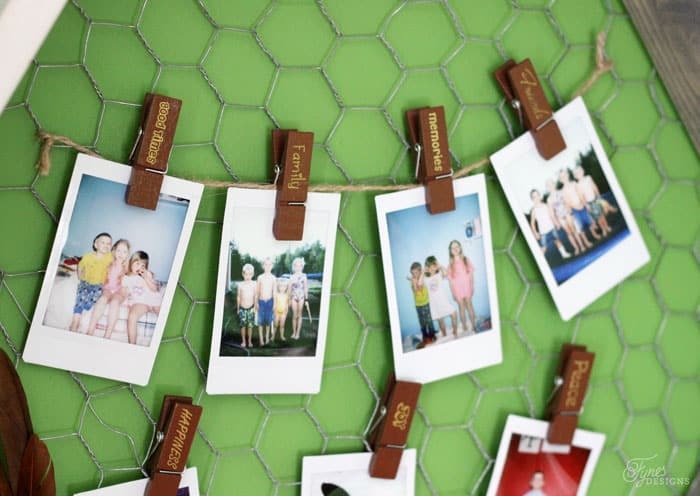 All you need is an FUJIFILM Instax Camera or Share Printer a string, and a few tiny clothespins, (even paperclips will work) and you’re set! Do you have an Instax? I’d love to see what you’re creating with this fun camera. Check out Instax.com for products, DIY ideas, videos, and to connect with other Instax users from all over the world! Disclaimer- I have partnered with FUJIFILM to create some fun projects to share. I am not compensated for this post. All project ideas, photos, and opinions are 100% my own. This is such a cute idea and I love how you styled it! I stopped by from Frugal Crafty Blog Hop! What a great way to display pictures! Great design project. Pinned! 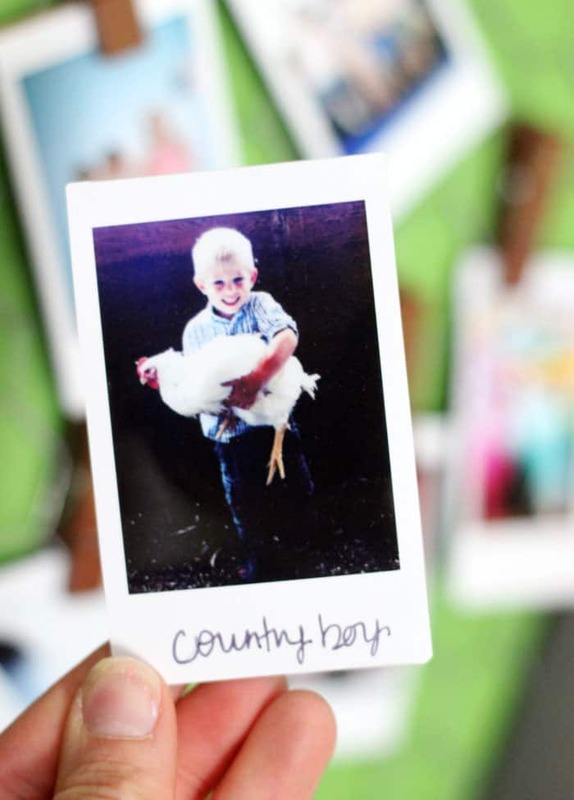 Thanks for sharing with us at #Throwback Thursday link party. Please join us again tomorrow and invite your friends to join.